White space access has come of age over the last few years, turning from a research topic to a commercial activity. It is now being discussed as one of the major approaches for the future to increase spectrum utilisation, to relieve the “mobile data crunch” and to facilitate sharing with Government and military users. This new book is focussed firmly on the issues of implementation of white space rules, the regulations, devices, databases and the applications that will make this a success. The book starts by looking at the underlying rationale for dynamic access. It then covers the various different ways of detecting incumbent users. 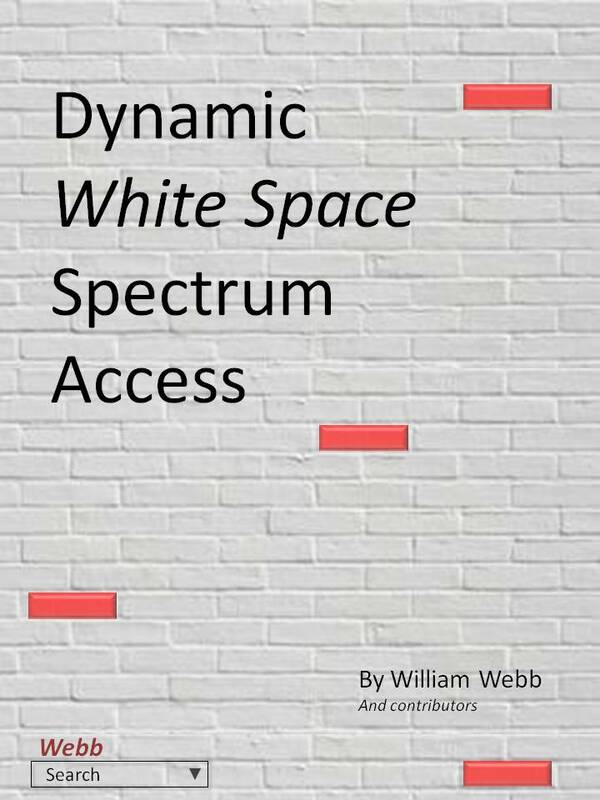 Using white space is all about not causing interference and the mechanisms by which this can occur can be defined in general – however, as the book shows, every application and incumbent user has their particular differences and each needs to be studied to derive specific protection ratio curves. The book looks at how these have been determined for TV receivers and for wireless microphones. There are detailed chapters on the US and the UK white space regulation explaining the regulations that have been devised, the key parameters, the implications and the issues and problems. There is an extensive chapter covering each of the underlying application areas that are currently most mentioned – extended-range Wi-Fi using the IEEE802.11af standard, rural broadband provision using the IEEE802.22 standard and machine-to-machine (M2M) communications using the Weightless standard. The database itself is an important part of white space geo-location access. A chapter written by one of the top database companies covers the challenges, variations, business cases and future developments likely for databases. Finally, no book can resist looking to the future and this one ends with a chapter covering research activities, regulatory strategies and thoughts on how DSA might become one of the key mechanisms for accessing spectrum in the future. A paper co-authored with Martin Cave on why spectrum sharing needs regulatory intervention. A paper on how consumer preference has moved from speed to ubiquity and why this leads to a “Wi-Fi first” world. A paper on why mobile data took so long to happen and whether the same problem is slowing growth of the IoT. A discussion on whether innovation is increasingly taking place on the West Coast of the US and whether there is anything that the rest of the world could do, or should do about it. A paper published in the IEEE Communications Magazine on the issues and complexities associated with white space regulations and the impact of the differences between UK and US rules. How Spectrum Usage Rights – a licensing scheme devised for licenced access, can be extended to work with cognitive access. Co-authored with Professor Martin Cave and published at DySpan 2011. A paper published in the Digiworld Economics Journal on the need for standards and how this applies to IoT. A discussion of the choices to make when crafting a new standard such as IPR policy, standards body to adopt, certification approach, etc. A case study of Weightless is provided. A version of this paper was published in the IET E&T Journal. An overview of the Weightless technology. A discussion of what the IoT really is, why the title is misleading and a prediction as to how a market of 50 billion devices might unfold. A look at how dominant companies like Apple and Microsoft have changed our world for the better and a question as to whether we should embrace this. Copyright © 2013 Webb Search. All rights reserved.